"The new [PS4] hardware gives us the opportunity to create something great," says CD Projekt RED. CD Projekt RED has been keeping its collective trap shut until now, because it wasn't allowed to spill any beans before Sony got its chance on stage. However in the wake of the PS4 announcement comes news from the Polish developer that its Witcher 3: The Wild Hunt title shall be a PS4 release, sometime in 2014. "The new hardware gives us the opportunity to create something great," says CD Projekt's Adam Badowski. "We are able to work with the new console from its birth and this allows our in-house REDengine 3 to push the graphical limits of what the PlayStation hardware can display." Badowski went on to say that the PS4 would give his team a chance to really play with some innovative design ideas. 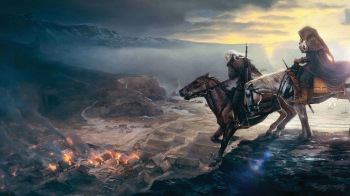 He's not prepared to say exactly when in 2014 we'll see Geralt's last adventure; for the moment, he's just happy to be one of the third party developers working on a PS4 title.